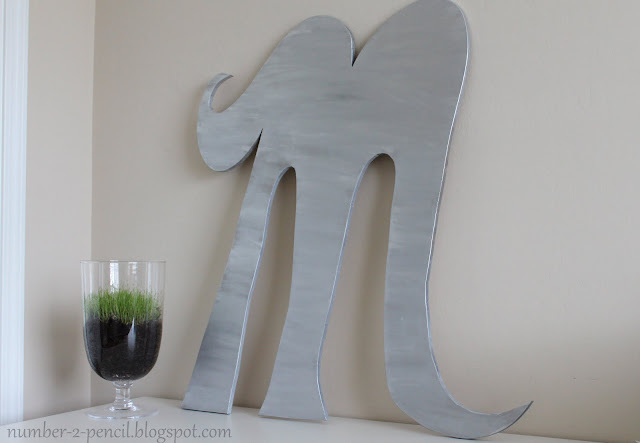 To wrap up my blog vacation week I have Melissa here to share some awesome DIY projects. I first fell in love with her creative food creations (pancake pops anyone? ), but she rocks it out in the project world as well. 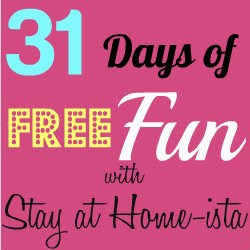 Hello friends of Stay at Home-ista! I'm Melissa from No. 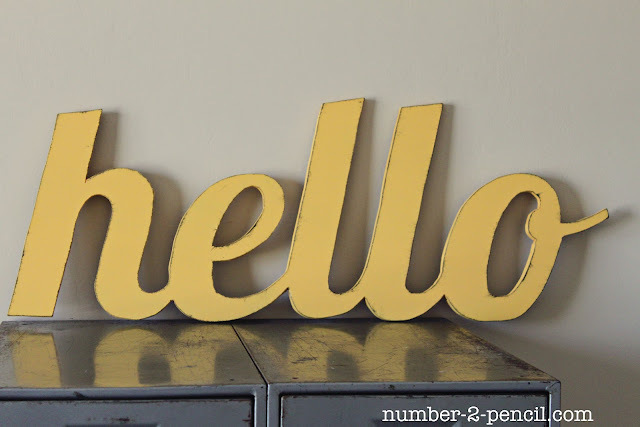 2 Pencil, and I am thrilled to be guest posting for Jessica today. Over at No. 2 Pencil, I share creative recipes and DIY projects. 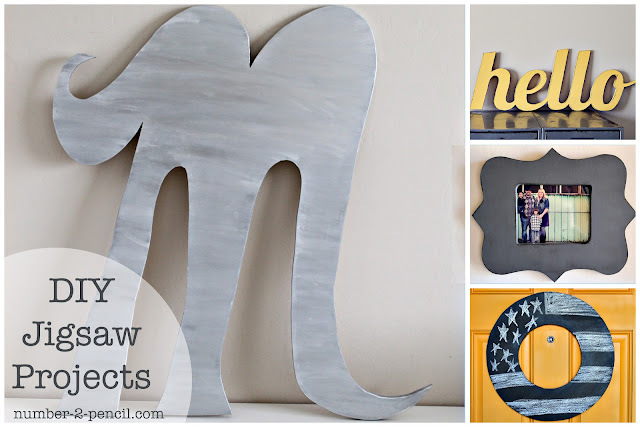 Today, I am sharing a few DIY projects I have made using one of my favorite crafting tools...a jigsaw! Yes, technically it is a power tool, but it is so easy to use, everyone should give it a try. Jigsaws have a small, thin blade and are made to easily cut curves. In fact, this curvy frame was the very first project I did with my jigsaw. I drew a funky shape onto a piece of MDF and just went for it. 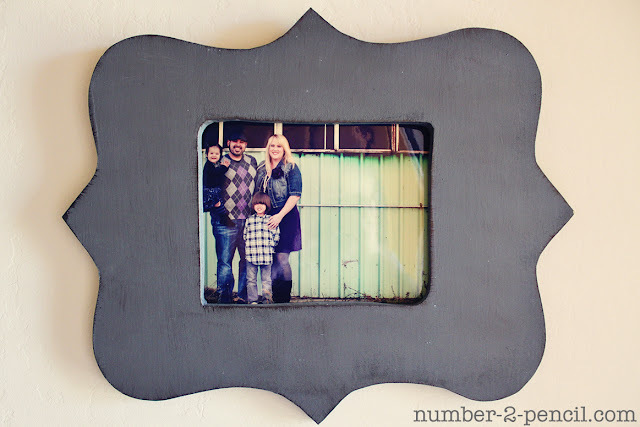 I sanded, painted, and glazed it and taped an 8x10 picture of our family to the back. All of these jigsaw projects are so quick and easy. In fact, I made each of these during my toddler's nap time! If you are itching to get creative with a jigsaw, I did a step-by-step tutorial for my vintage style hello sign and have even more tips on my chalkboard wreath tutorial. 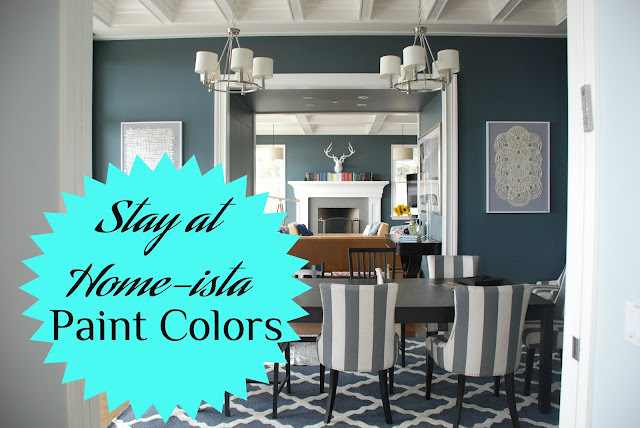 I hope you pop by for a visit! Thank you for having me Jessica, and thanks for reading! PS - Since I am a guest poster here, does that mean I get to stop by and see Jessica's beautiful home in person? I hope so! Anytime Melissa- you are welcome to stop by! i am a huge fan of melissa's! she is so talented and always has great ideas! These projects are amazing and so inspiring! 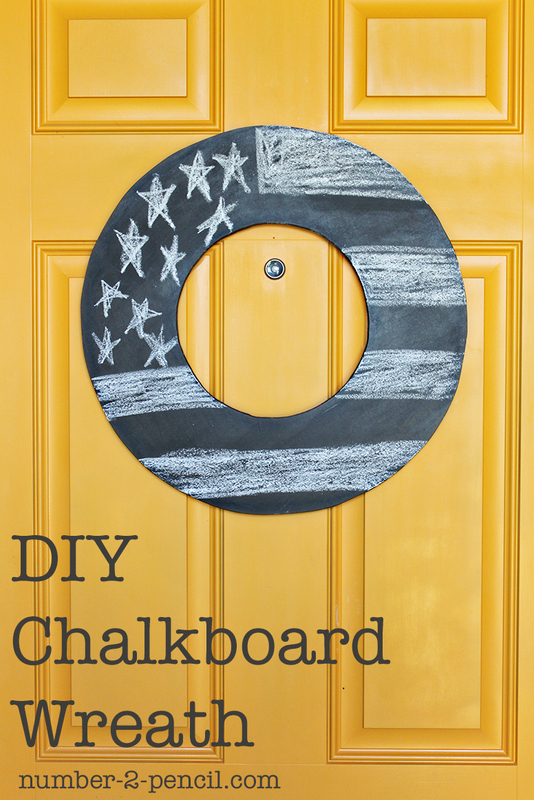 I can't get over the brilliance of that chalkboard wreath. Yea, two of my favorite bloggers in one today! Melissa, you know I'm a big fan, and I LOVE your jigsaw projects! Great thing is that my son loves to use the jigsaw, so I think I'm going to turn him loose on a few of these ideas!